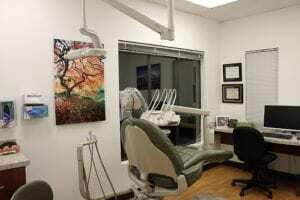 This gorgeous, 1,860 square foot, 4 bay orthodontic practice is primed and ready to go! The buildout is beautiful, the equipment is in place, the referral network is built and the patient work is in full swing. 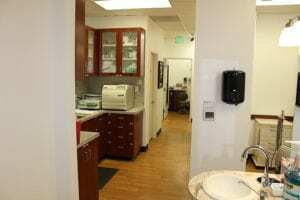 The office is conveniently located in one of the most desired suburbs of Portland. The current owner purchased the practice in the summer of 2017 from an owner who opened it as a small satellite office. The current owner works 2-3 days each week and over the past 13 months has added equipment, built a very reliable referral network and grown collections to approximately $310,000 with a significant upward trend continuing. New patient exams are averaging 15 per month with new starts averaging 7 per month. The facility is housed in a multi tenant professional/medical building with 2 of the 7 main referring doctors on the floor directly above. It is ideal for a multi-specialty office or even space sharing. It is light and spacious with a very modest lease of only $3,255/month, all inclusive. 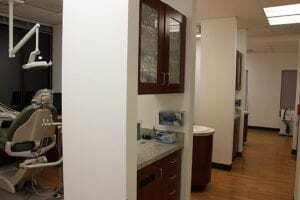 3 of the 4 ops are fully equipped with A-dec chairs, lights, stools and deliveries. 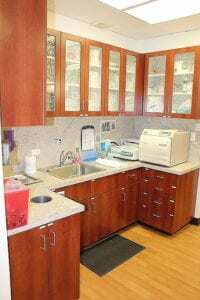 There is a full lab, a sterilization center, a GE pano with ceph, washer and dryer, staff room, private office, large and inviting reception area and much more. There are approximately 110 patients currently in treatment and current contracts receivable are approximately $115,000. There is a very strong and dedicated staff that will stay after a transition. *The owner is selling in order to move out of the state to care for an injured parent.